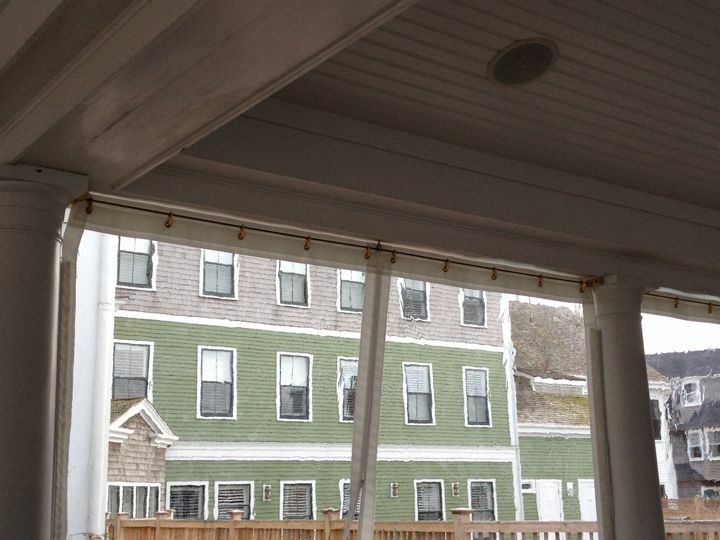 One of our most recent custom projects was a set of sidewalls for the outdoor dining area at the Nantucket Hotel & Resort. The architecture gave us an unusual space to work with; the second floor protects the pillared seating area from above, and now our sidewalls will make the area into a cozy outdoor space that can easily be heated. Click through for a panoramic view! Because of the long-term use this project will see during the winter months, we used heavy glass for its rugged durability. Despite its flexibility, the glass provides an excellent view of the great outdoors – a must for any island hideaway. The bottom opaque panels on the sidewalls are made from Weathermax FR, a durable cloth that is highly resistant to fire, water, and mildew (a must for any outdoor space in New England). The sidewalls zip up the center, and slide apart smoothly on a brass rod with matching brass jib snaps for utility and nautical flare. With this feature, each zippered sidewall can double as an impromptu doorway. We were thrilled to work with the well-loved Nantucket Hotel. And you’re in luck – it may not be summer any more, but the Nantucket Hotel and Resort is open year-round. 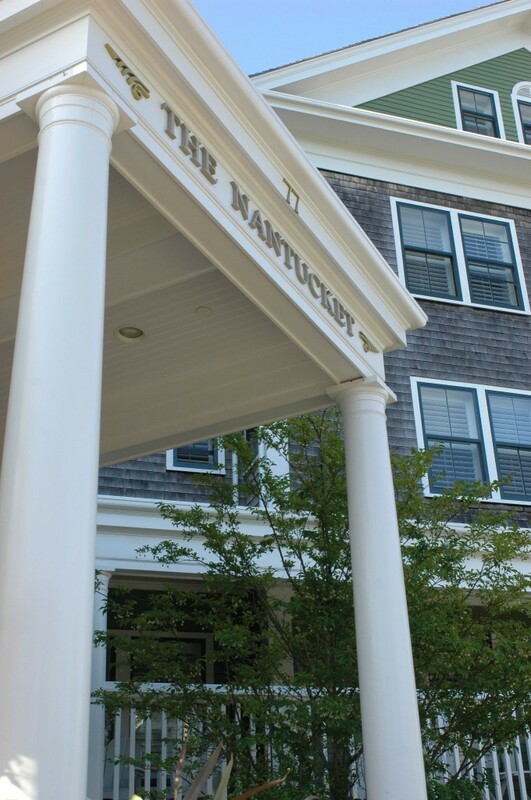 For more information about staying there (and viewing our lovely sidewalls), visit their website at: www.thenantuckethotel.com. If you are interested in commissioning some custom sidewalls of your own, please feel free to call us at the office – our number here is 774.849.3505. They keep in the heat, or keep out the bugs depending on the weather, so it’s really a win/win situation year round! This entry was posted in Project Spotlight. Bookmark the permalink.